Jim and Sue Powers developed the vision behind the Columbarium, and through their generous and thoughtful gift, made the project a reality. The Powers chose cremation as their choice of burial and they wanted to be interned on the grounds of the church because it is so meaningful in their family's lives. They discussed how they could help to make a church Columbarium a possibility, and also thought about how they could combine a Columbarium project with their interest in Mission work. They were led to establish a Columbarium and Mission Endowment where one half of the cost of the Columbarium niche goes to mission work, within Centre County and beyond, and one half will be used for maintenance, urns, nameplates, and the future purchase of additional niches when needed. With the installation of additional niches, the Mission funds will be in excess of $250,000. The Meditation Garden offers a beautiful, tranquil space for quiet reflection and meditation, as well as providing the option for those who would like for their cremation to be interred on church grounds. The Medication Garden is open during regular church hours. Enter through the door by the parking lot entrance. 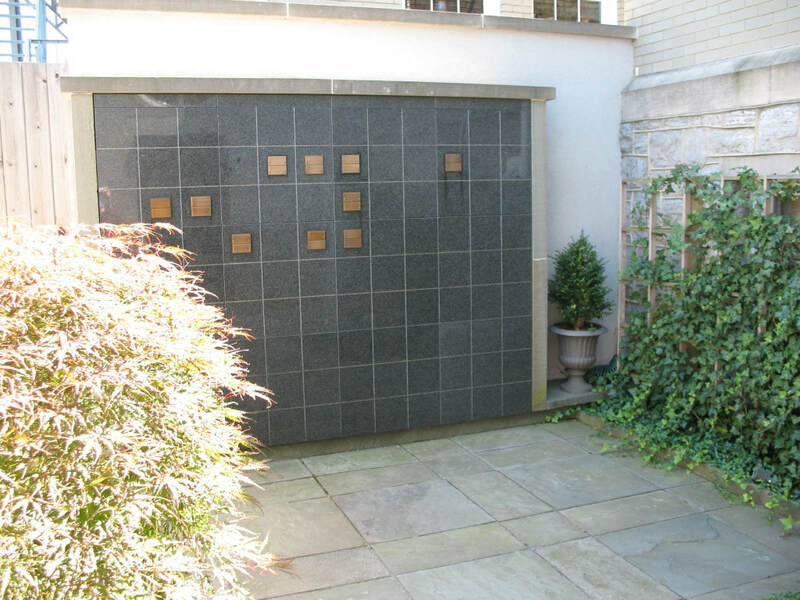 This meditation garden was built to accommodate a most important feature of the church, the columbarium, which is a wall of niches that can be purchased much like a plot in a cemetery to hold "cremains" (the ashes of a cremation). The price for each niche provides resources for both the upkeep of the garden and for the establishment of funds to support the mission efforts of the church. It is a thoughtful way to support both the good work of SCPC and to resolve at least one difficult question about where to be buried. Please contact the Church Office for more information. Current or past church members, and members of their immediate family (see brochure for more details). Current and former ministers, and members of their family. ContributionsThe current one-time contribution is $2,000, per niche. Includes: up to two urns, all costs associated with inurnment, inscriptions on the plaque, and perpetual care. Does not include costs of cremation and other off-site costs. Fee may change in the future, to be determined by the Session. The complete Columbarium Policy is available in the Church Office.